I discovered this recipe on Marks Daily Apple and have changed it just a bit. I could never get it to cook in the time they describe, so I adjusted that. Otherwise, it’s a delicious and almost impossible to mess up. This one is not quick, but it is easy. This would probably work in the crock pot, but I’ve never tried it. I just do it low and slow in my Dutch oven in the oven. My favorite part of this is actually the left-overs. 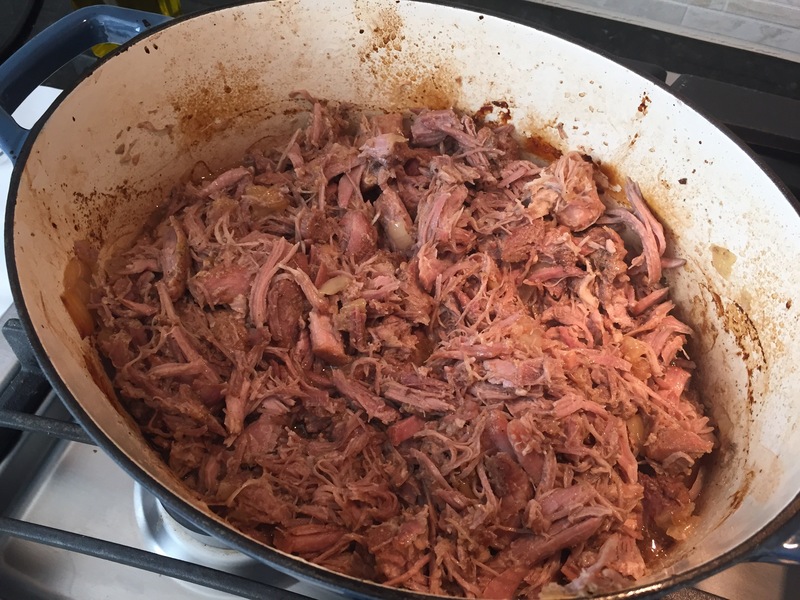 Put the shredded pork in a pan and cook until crispy…OMG, heavenly. Makes great tacos with corn tortillas and a little cilantro. Mix the salt, cumin, garlic powder and black pepper together. Squeeze the juice over the spices and rub it all over the pork shoulder. 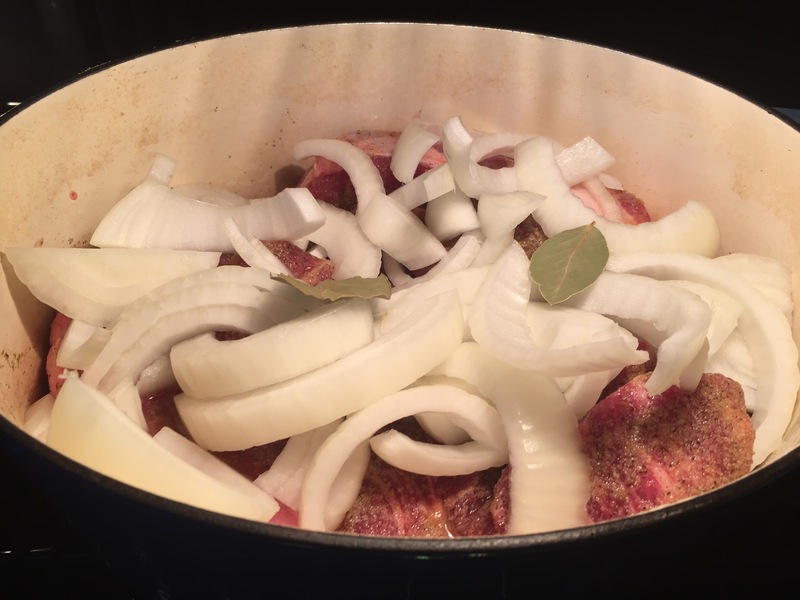 Using a knife, make a deep slit in the pork and shove a garlic clove into the meat. Randomly insert the garlic cloves all over the pork shoulder.Put the pork shoulder in a Dutch oven (or slow cooker, I guess) with the sliced onion and bay leave and cook at 300 for 4-ish hours until it shreds easily. Bone-in will take longer to cook. It’s almost impossible to overcook this. It’s good just shredded, but we freeze leftovers and then cook them in a pan until they get crispy! All shredded up and ready for eatin’!